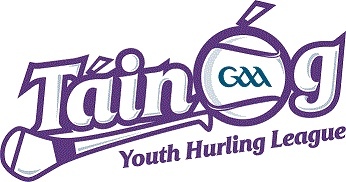 The new Táin Óg Hurling League has been setup to give Juvenile hurling clubs more competitive and meaningful games in order to help grow the game. This League will cover 3 Provinces, 8 Counties and we have 24 clubs registered to take part. The eight counties are Armagh, Cavan, Down, Fermanagh, Leitrim, Longford, Louth & Monaghan. The inaugural League in Year One will be run at U13 Level and we hope to expand this to U15 & U17 over the coming years. Follow updates on our county Facebook & Twitter pages or on links below…..
Our next big step is our Launch Day ‪on Saturday 28th April‬. On the day we have invited all 24 teams to attend (Approx 300 players) and take part in a grading blitz. With such big numbers anticipated we have broken the day down into two sections, this will leave the management and logistics for the day a lot simpler and smoother. Also we have arranged for 3 Killkenny superstars to attend to do a Q & A and sign autographs and stand in for pictures etc. It would be great if a representative from each of the county boards could attend on the day to show support for the league. Saturday 14th July Finals Day (To be held at a Provincial ground).